Is Palm in Trouble or Are They Revving the Pre? Check out what Nate D’Amico thinks at Silicon Angle. Verizon customers were either satisfied with their current network or simply not interested in the Palm Pre?! Recent analytics from online behavioral research company Compete.com shows that Verizon Wireless may not see quite the boost some expect from a forthcoming Palm Pre launch on its network. Elaine Warner, director of Consumer Technologies for Compete, took a look at which wireless customers were “shopping around” for a device not offered by their current carrier. 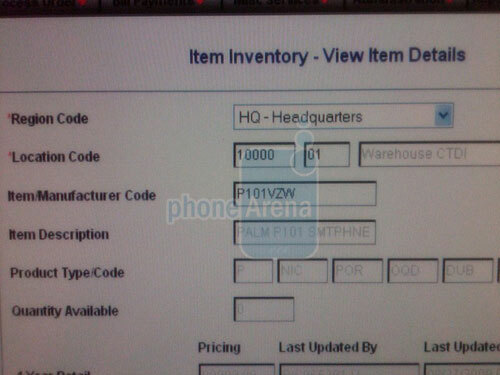 For example, a customer on Verizon Wireless who might be shopping for the Palm Pre over at Sprint. Warner calls these customers with wandering eyes “pre-churners” and identifies them by their having accumulated 10 or more page views per month on a competitive carrier’s Web site. “There’s been this question of could this device do better on Verizon or AT&T?,” Warner says. At first glance, it appeared that Verizon customers were either satisfied with their current network or simply not interested in the Palm Pre. In fact, only 1.7 percent of Verizon pre-churners were interested in the Palm Pre, suggesting that bringing the Palm Pre to the carrier won’t actually help it retain some of its riskiest customers. While that was all good and fine, Warner took things a step further, wondering how many Verizon Wireless customers might be exhibiting pre-churner behavior with a hankering for AT&T’s iPhone 3G S.
According to Warner’s data, a whopping 14.8 percent of Verizon Wireless’ pre-churners were checking out their Apple-branded options over at AT&T, specifically the iPhone 3G S (surprise, surprise). That’s 40 percent higher than that of pre-churners from Sprint or T-Mobile USA. “I think that suggests Verizon might still have something to worry about in the iPhone,” Warner concludes. 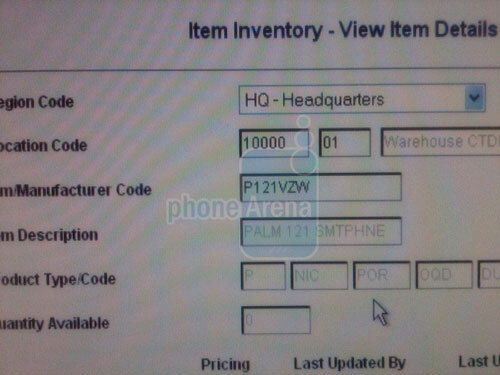 We’ve already heard reports that the Palm Pre is coming to Verizon. Now it looks like we’re getting close to an official launch date. A source “familiar with the situation” between Palm and Verizon says the Pre will be on Verizon’s network as of January 2010, according to The Wall Street Journal. While a specific date has not been announced, the timeframe of next January lines up with an announcement made in late May by Verizon CEO Lowell McAdam. During a Webcast with investors, McAdam said Verizon would offer the Pre in about six months. At the same meeting, Verizon also revealed it will sell Android-based phones as well as the Blackberry Storm 2.
apple iphone palm preA looming end date gives Sprint limited time to take advantage of its status as the exclusive provider of the Palm Pre. But will Pre fans be willing to sign up with the ailing Sprint network over the next few months, or will they prefer to wait for Verizon? This question has been dogging Sprint since McAdam’s pronouncement, which came just days before the Pre launched on June 6. In fact, it’s possible Verizon’s announcement has already had a chilling effect on Sprint’s Pre sales, but it’s impossible to know for sure. The Palm Pre on Verizon also raises the question of how long AT&T can hold on to its exclusive deal for the iPhone. While the Pre may not be an iPhone killer, the Pre is the first real challenger to the iPhone’s dominance as the most sought-after and elegant consumer device on the market. So if the Pre is opening up to more customers, how long will Apple be content to be shackled to AT&T? Not long, judging by the fallout from this year’s WWDC. People are fed up with AT&T’s iPhone service, and are no longer content with its rollout delays and reportedly slow data services. Contributing to AT&T’s poor approval rating are a poorly devised and confusing upgrade path for current AT&T customers, as well as AT&T’s failure to deliver new iPhone services — specifically tethering and multimedia messaging — to U.S. customers in a timely manner. For example, while the rest of the world is happily using MMS on June 17 when iPhone OS 3.0 launches, U.S. iPhone users must wait for MMS until an unspecified date later this summer. A release date for an iPhone tethering service on AT&T is even less certain than MMS. Palm, on the other hand, has avoided a long-term commitment with Sprint. Wider availability could benefit the Pre’s appeal in the long term, since Sprint and Verizon will compete to deliver better services to the same phone. By comparison, AT&T’s exclusive status gives it a little more breathing room to stumble with service delays, since the only way to get the iPhone in the United States is through AT&T. But AT&T’s breathing room won’t last forever. Verizon is rumored to be a candidate for the iPhone once AT&T’s exclusivity deal ends. Will Apple avoid Verizon if the carrier is supporting the Pre? Other carriers, such as T-Mobile, could end up with the iPhone, but Verizon is the name that comes up most often in speculation about U.S. carriers for the iPhone after AT&T. Imagine, then, if the Palm Pre and the iPhone ended up on the same network. Now, that would truly be a smartphone smackdown.